For most people, driving often marks a start of a new milestone in a person’s life. It means that you are mature and responsible enough to be trusted to follow rules and regulations. Getting behind the wheel is not merely about steering it and stepping on the gas to accelerate the car, it also means that you are a person entrusted to be on the road. 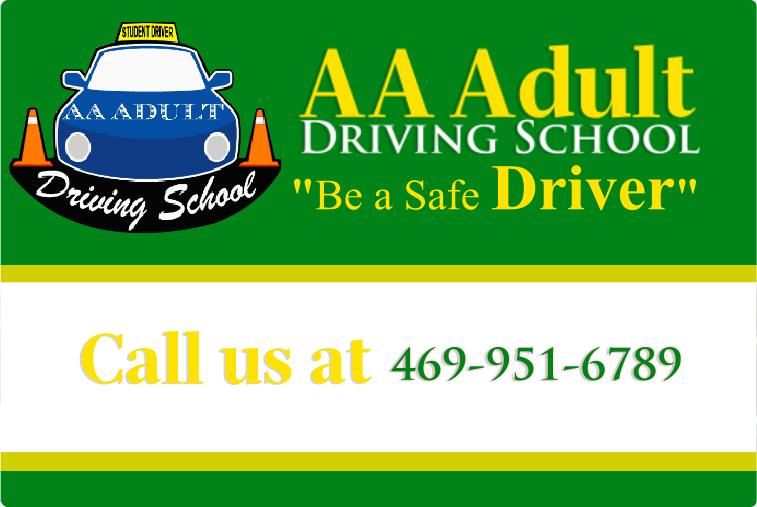 Booking your lessons with AA Adult Driving School is one of the wisest choices you will ever make. If you want to be in that driving seat as soon as possible, you have to learn the proper rules of the road. Our trainers are certified driver training instructors and they will work closely with you to make sure that you are fully educated in road protocol. AA Adult Driving School knows that learning is different for everyone, that is why we make it a goal to make you feel at ease during the training for learning to be interesting. In turn, you will gain the confidence and skills necessary to pass your driving test. At AA Adult Driving School, we offer the best value in all of our driving course packages. It includes test fees, accommodation and many more. Please give us a call at 469-951-6789 for more information.